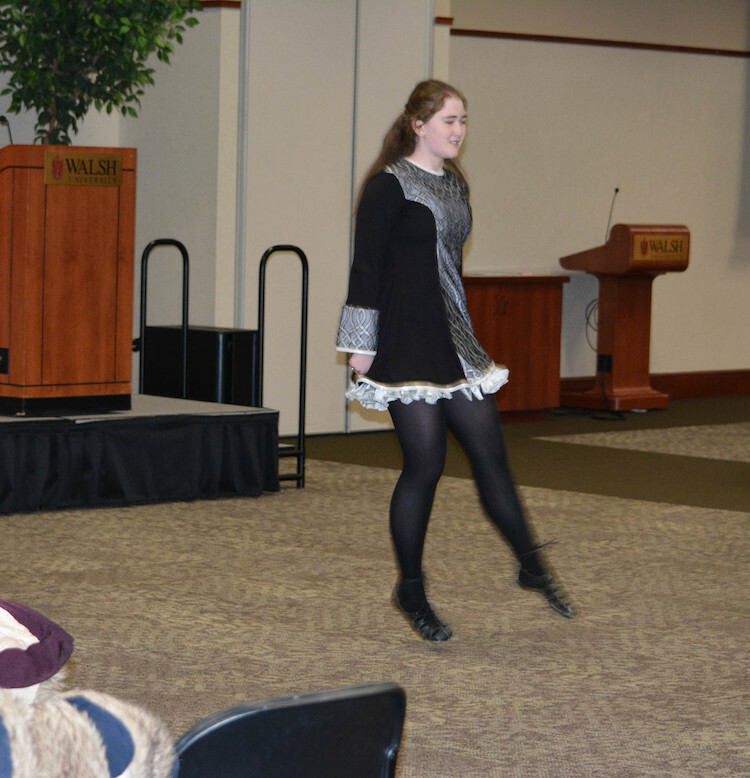 The Walsh University World Student Organization hosted its fifth annual International Flag Ceremony on Thursday, November 15, in the Barrette Business and Community Center. 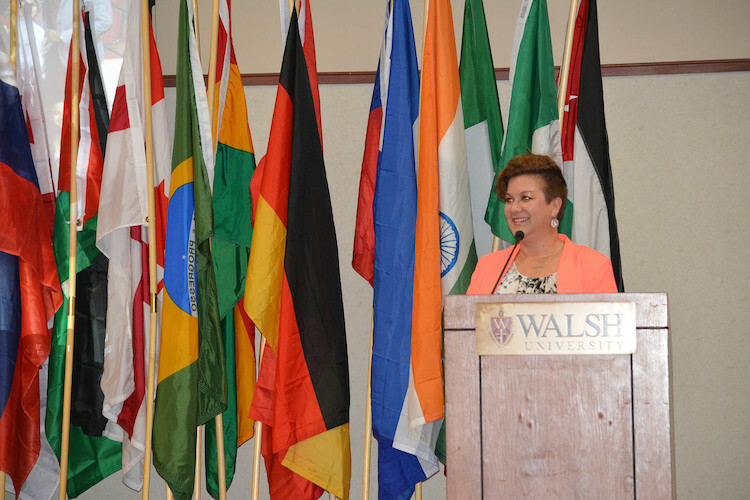 As a part of International Education Week, this special event is organized annually to formally welcome new and returning international students to Walsh. 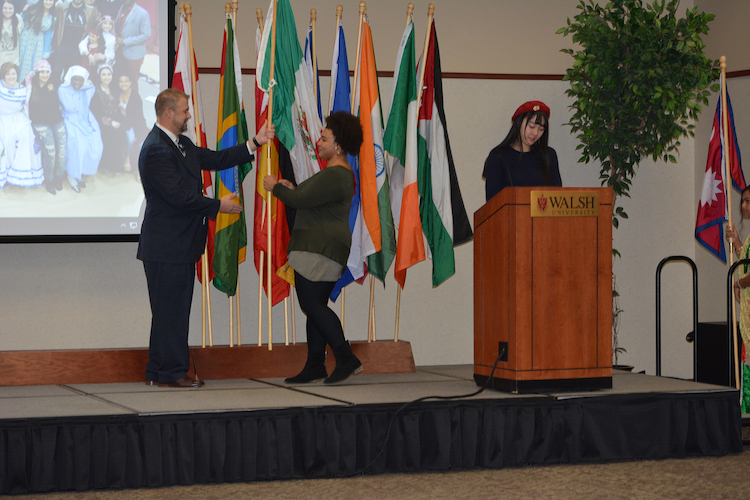 During this year's ceremony, Walsh’s newest flags for Republic of Georgia, Palestine, Slovakia were added to the collection, which has grown to include 89 flags from around the world. 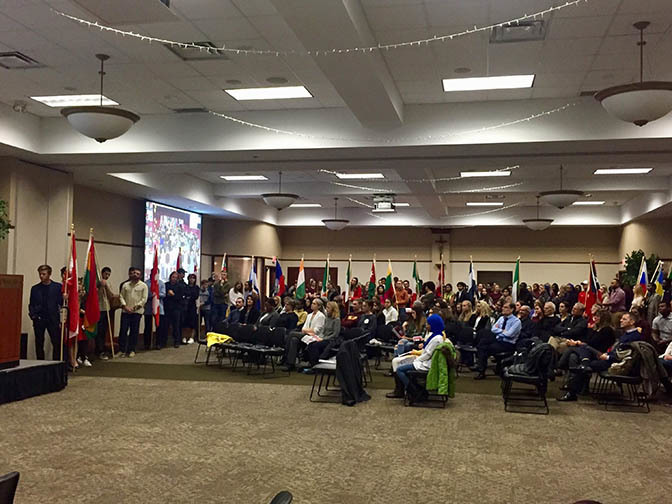 This fall, the University welcomed over 116 international students from 35 different countries to campus. 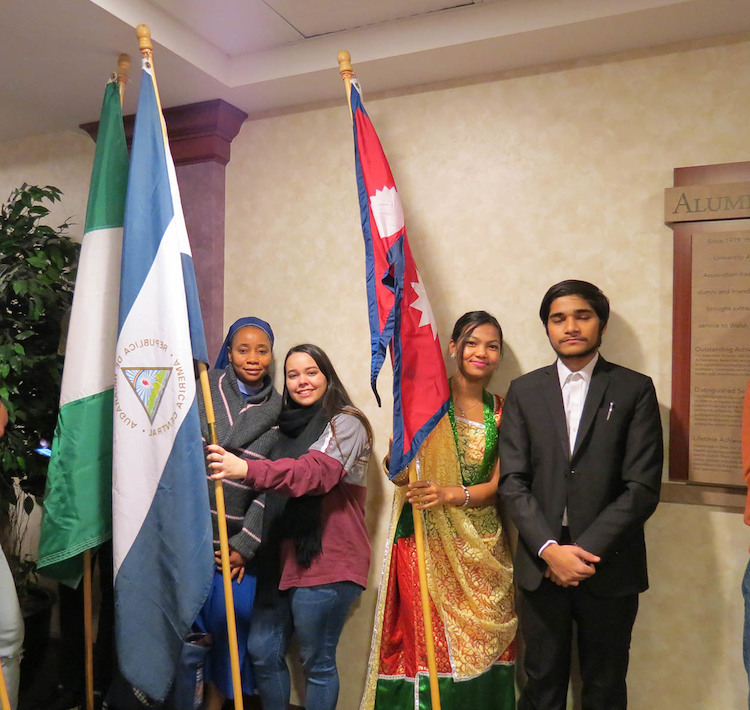 International Education Week included classroom visits by international students, a photo exhibition, food and culture series and “Passport to the World” video presentations in the Marlene and Joe Toot Global Learning Center. 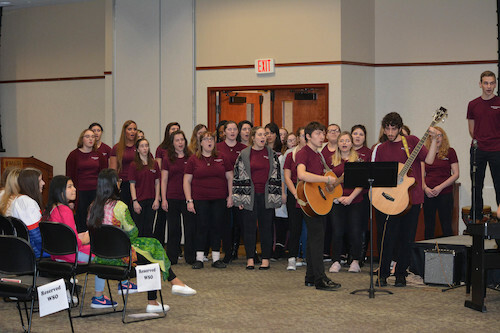 The event included desserts from around the world and entertainment by Walsh University Chorale and international community members. Upcoming World Student Organization events include the highly anticipated annual International Dinner on March 16, 2019.